Please read these terms & conditions (“Terms”) before proceeding as they explain the legal framework for the information on this website. By accessing this website you are deemed to have read and accepted these Terms and it is your responsibility to be aware of, and to observe, the applicable laws and regulations of any relevant jurisdiction. Athene Capital LLP reserves the right to modify these Terms at any time. In the United Kingdom, Athene Capital LLP is a limited liability partnership registered in England and Wales with registered number OC392085 and registered office at 3 Gough Square, London, EC4A 3DE. Athene Capital LLP is authorised and regulated by the Financial Conduct Authority, reference number 685847. The term Athene Capital (without a suffix such as LLP) refers to the Athene Capital Group, which is a group of companies, entities, people and divisions, including, where the context warrants, Athene Capital LLP, as well as companies and partnerships based in the UK and overseas. 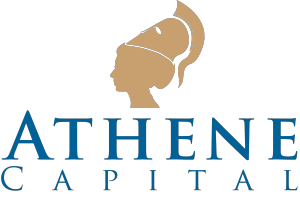 Athene Venture Capital, Athene Growth Capital, Athene Energy Capital, Athene Project Capital, Athene Debt Capital, Athene Portfolio Services and other similarly named divisions are divisions of the Athene Capital Group and are neither trading names, nor names of independent entities. Athene Capital Advisors is a trading name of Athene Capital LLP. Unless otherwise stated, all rights in any information which appears on this site (including the screen displays, the content, the text, graphics and look and feel of the site) belong to Athene Capital LLP or our licensors. Unless specifically prohibited by a notice published on any page, you may download and/or print a copy of such parts of the pages of the site as you may reasonably require for your own personal non-commercial use only, provided that any copy has attached to it the relevant proprietary notices and terms and conditions. All trademarks, service marks, company names or logos are the property of their respective holders. Any use by you of these marks, names and logos may constitute an infringement of the holders’ rights. The contents of this site have been prepared solely for information purposes and Athene Capital LLP’ communications are only directed at professional clients and eligible counter-parties. They are not directed at any other person. Funds advised by Athene Capital LLP are not available to members of the general public. In addition, no information on this site constitutes investment, tax, legal or any other advice and nothing on this site is intended to constitute an invitation or inducement to engage in investment activity in any jurisdiction. Athene Capital LLP does not represent that any materials on this site are appropriate for use, or permitted by local laws, in all jurisdictions or by all investors. Those accessing the site do so of their own initiative and are responsible for compliance with applicable local laws and regulations. In particular, the site is not directed at any person resident in any jurisdiction where, under local law or regulation, the publication or availability of this site is prohibited. Persons to whom such restrictions apply must not access this site. The information on this site is published in good faith but no representation or warranty, express or implied, is made by Athene Capital LLP or by any of its partners or employees, as to its accuracy or completeness and it should not be relied on as such. Nothing in these Terms attempts to exclude liability that Athene Capital LLP may have under the UK Financial Services and Markets Act 2000 (“FSMA”). This site contains certain links that may give you access to external websites and websites of organisations that are not regulated under FSMA. Athene Capital LLP has not examined any of these websites and does not assume responsibility for their contents or for the goods, services and products that they offer. These links are for your convenience and you access these at your own risk. These terms and conditions are governed by and construed in accordance with the laws of England and Wales. Athene Capital LLP respects the privacy of online visitors to this site and recognises the importance of protecting your personal information that you may provide to Athene Capital LLP. This statement sets out Athene Capital LLP’ policy and principles regarding the use of information you provide when visiting this site. Athene Capital LLP is committed to following policies that protect your privacy and meet data protection laws and regulations regarding personal data. Personal data is obtained by Athene Capital LLP for specified and lawful purposes and will be processed fairly and lawfully. 3. Athene Capital LLP will not share personal information, provided by you, with third parties other than for the purposes of providing you with feedback on technical support or customer service enquiries. Where a third party is used for these specified reasons, such third party vendors have agreed to maintain the confidentiality and security of information Athene Capital LLP shares with them. 4. When using the site you may be directed to other sites that are beyond Athene Capital LLP’ control and there are links to other sites outside our service. Athene Capital LLP is not responsible for and accepts no liability in relation to these sites and you should read the private policy statement of any new site you visit. Richard is a Senior Sector Partner of the Athene Capital Group. Richard is a risk specialist with a long career working in the security industry. He currently serves as MD of Spartent Global Solutions after having left Hill & Associates where he was CEO for 8 years. Previously, Richard worked in various senior executive roles around the globe at Brink’s and Holmes Protections. He started his career in the Royal Army where he finished as a Major. 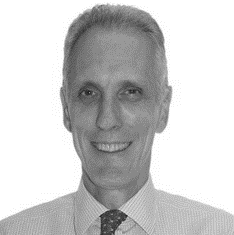 Richard holds a BSc from St Andrews and MBA from INSEAD. © 2016 Athene Capital LLP. Athene Capital is a member of the Athene Capital Group of companies and is incorporated in England & Wales, Partnership No. OC392085. Athene Capital LLP is authorised and regulated by the Financial Conduct Authority.